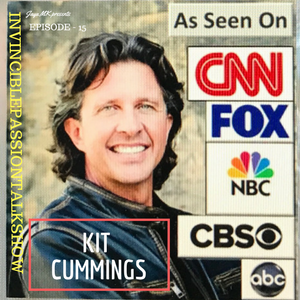 Meet #Kit Cummings, who is an award-winning author, international speaker, spiritual teacher, human activist, and founder of the power of peace project. Kit Cummings began to carry the message of peace, hope and change into the most difficult places in America– prisons. As Kit spoke to more and more inmates, a momentum began to build in penitentiaries across the country. Behaviors began to change, and many of the men that society had left behind and essentially given up on, had rediscovered their personal power and humanity. Some of the toughest prisoners began to strive to become a positive example for their kids and younger brothers. "What I seek is, seeking me with Kit Cummings"
What turned Kit Cummings on this path of peace. How he helps others find their purpose. Few key secrets so you can find your passion and empower others. Where you can find Kit Cummings.